For more than 70 years, the most powerful Oil companies have effectively supported the Arab cause and lobbied against American diplomatic, military and economic support for Israel. The State Department effectively backed the claims of Arab leaders and Middle East ‘experts’ that such support would undermine British and American cultural, political economic and commercial interests throughout the region. The State Department and oil companies’ views were given considerable credence by President Roosevelt following his meeting with King Ibn Saud in February 1945 at the Suez Canal. Both the State Department and the CIA argued on the basis of their familiarity with their military intelligence that the Jews would be incapable of resisting an invasion of Palestine by a combined force of several Arab states and that the only way to secure a Jewish state would be protection provided by U.S. troops. Warren Austin, U.S. ambassador to the United Nations on instructions from the State Department met with Zionist leader Moshe Shertok (Sharret) on May 8, 1948 only one week before the Declaration of Israeli Independence to argue for a postponement of the declaration arguing that the Jews’ position was hopeless and that the Arabs held the strategic high ground, had regular armies and were much better armed, were better trained than the guerilla forces of the Hagana and the Irgun. The editor of the most prominent leftwing publication in the United States, The Nation, Freda Kirchwey, wrote to President Truman in May, 1948 informing him that James Terry Duce, the Vice-president of Aramco was trying to undermine his policy and had met with Azzam Pasha, secretary general of the Arab League to discuss possible alternatives to Jewish statehood. Duce had argued that a Jewish state would become a Soviet client state because of the predominance of Leftwing political parties in the Zionist movement and a pro-Russian orientation of large numbers of East European Jews who were grateful to the Soviet Union’s role in defeating the Nazis. Even many Jews in the Diaspora whose parents and grandparents rejoiced at the rebirth of Israel in 1948 and regarded it mystically as partial compensation for the Holocaust have been psychologically intimidated by the constant anti-Israel line of the media and of the torrent of bloody confrontations picturing enraged Muslim mobs ready for constant mayhem to avenge what they regard as the worst injustice in human history (i.e. the creation of the Jewish State rather than the failure to establish an Arab Palestinian state). 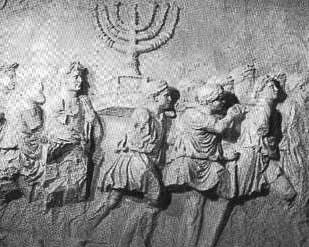 Some prominent Diaspora Jews, particularly among those who cannot escape the narcotic-like trance they have inherited as “progressives” and are essentially secular and ultra-critical of capitalism and American society with its underlying Christian values, have developed a new kind of psychological self-hatred to exhibit a disassociation from the State of Israel and their religious heritage. They are upset over the close Israeli-American friendship and outdid themselves in slanderous attacks on President Bush. They easily see Israel’s many flaws (both real and imagined) among which, the worst is that Israel, like America is a “privileged” society enjoying wealth amidst a world of misery. They flatter themselves that they are the modern day prophets who see “the writing on the subway walls” (as Paul Simon sung). They have earned for themselves the justifiable contempt of most Israeli Jews (both religious and secular) for their moral duplicity. Leon Uris unapologetically made “Exodus”, a pro-Israel film only a decade after every Jewish movie producer had turned down making the film “Gentleman’s Agreement” (1947; starring Gregory Peck) about polite anti-Semitism. It was made into a film by the great Greek-American producer, Elia Kazan who was later turned on with vengeance for cooperating with the House un-American Activities Committee revealing communist influence in Hollywood. Uris himself has been in the front lines in Guadalcanal and Tarawa island and felt an immense respect for the Israelis who had defeated the invading Arab armies and defied the legion of pro-Arab diplomats in the British Foreign Office and the leadership of the Labor Party (a sin the British Left has never forgiven). Today’s crowd of “progressive” Jewish actors and entertainers outdo even the writers Uris attacked fifty years ago. Woody Allen, Barbra Streisand, Dustin Hoffman and Richard Dreyfus (“The Gang of Four”) were among the most visible and acidic critics of American policy in Iraq and called for the impeachment of President Bush. They naturally proclaim themselves to be fervent supporters of Israel without realizing how convoluted their antics appear to others. Many Israelis reject their elitism of supposed high moral values so out of place in the Arab Middle East and as remote from the real world as were the great majority of the victims of the Holocaust whose Jewish values prevented them from attributing such evil to the Germans. Two of these “stars”, Streisand and Hoffman recently played the lead roles in self-mocking doubly ironic roles of a liberated Jewish couple in the comedy “Meet the Fockers” (a sequel, “Little Fockers”, has appeared and perhaps we can expect the spectacle of many future Fockers). This is a grotesque example of art imitating reality (or is it the other way round?). The Jewish couple in the films have nothing but disdain for traditional American manly heroic virtues of military valor or achievement in sports nor do they demonstrate any respect whatsoever for what were classical Jewish virtues of learning, decorum and piety. They exhibit the most crass, offensive loud and vulgar behavior, constantly embarrassing their son. For them and much of the Left, the very concept of civility is regarded with contempt. Whatever the differences between secular and religious Israelis, they pale before the monumental differences that separate life in the State of Israel with all its inherent promises, risks and dangers from the Diaspora’s ultra- idealized concerns and sensibilities. This is as true today was it was in 1948. The Political Left today refuses to admit (or remember) that it stood wholeheartedly behind Israel much like the exercise performed by Stalin’s staff of photographers who could surgically extract and obliterate old time Bolsheviks who had fallen out of his favor. Without the provision of the entire fleet of fighter aircraft provided by Czechoslovakia, a Soviet client state in 1948, Israel’s war effort would have been doomed. The United States provided no military aid whatsoever – the reverse was true. The State Department imposed a ban on any sale of military equipment to “both sides” in the 1948 war in which the armies of six Arab states invaded Palestine in order to crush the independence of the Jewish state. The animating spirit of Zionism and the nationalism of other small nations was pride and sovereign self-respect. For Jews, denied of a homeland for almost 2,000 years, it could only be obtained in the face of an immensely hostile Gentile environment. It was a revolutionary call for Jews to shoulder all the obligations of nationhood and take up the sword in self-defense. This meant doing all the dirty work of soldiers, jailers, farmers and street cleaners instead of preaching to the Gentiles on how these affairs should be properly managed. Borrowing from the vision of Italian nationalist leader Mazzini, the Revisionist Zionist leader, Zev Jabotinsky (who had lived and studied in Italy for three years), proclaimed that each and every nation makes its own contribution to human culture within the sovereign body of nationhood in order to fulfill its task and mission. This is still foreign, and appears even “crude” to those Jews whose cosmopolitan vision of their identity, much like the ultra-Orthodox, believe they have a universal mission to bring “God’s word” (in their own liberal-cosmopolitan interpretation) to other nations. The essence of hadar is untranslatable. Literally, it means shine or glow; it implied chivalry in conduct and life-style, a combination of “spiritual beauty, respect, self-esteem, immaculate grooming, politeness, faithfulness and integrity.” These are precisely the values that have always been mocked by the Left. Soviet hopes that they might eventually pressure the new and profoundly democratic Israeli state to side with them in the Cold War were hopelessly naïve. The Arabs cannot admit the truth of Soviet aid to Israel as it would rob them of their psychological advantage that they are victims who have the right to continually browbeat Western and especially American public opinion as responsible for their catastrophe. Amnesia is a common malady among politicians. Democrats and others who soured on American intervention in Iraq now have great difficulty remembering Iraqi aggression against Iran, Kuwait and the atrocities committed against the Kurds, Assyrians, Marsh Arabs and all opponents of the regime. Even former President George W. Bush and his supporters suffered from this amnesia and were reluctant or incapable of setting the record straight about 1948 and is all the more regrettable in the light of the fervent support then of the Left for Israel. Norman Berdichevsky is a native New Yorker who lives in Orlando, Florida. He holds a Ph.D. in human geography from the University of Wisconsin-Madison (1974) and is the author of The Danish-German Border Dispute (Academica Press, 2002), Nations, Language and Citizenship (McFarland & Co., Inc., 2004), Spanish Vignettes; An Offbeat Look into Spain’s Culture, Society & History (Santana Books, Malaga, Spain. 2004), An Introduction to Danish Culture (MacFarland, 2011) and The Left is Seldom Right (New English Review Press, 2011). He is the author of more than 200 articles and book reviews that have appeared in a variety of American, British, Danish, Israeli and Spanish periodicals such as World Affairs, Journal of Cultural Geography, Ecumene, Ariel, Ethnicity, The World & I, Contemporary Review, German Life, Israel Affairs, and Midstream. He is also a professional translator from Hebrew and Danish to English and his website is here. Help Support Florida Political Press!